Less than five months before Britain leaves the European Union, Prime Minister Theresa May’s parliamentary enforcers are on the prowl. For now, the government “whips” whose job it is to ensure parliament backs whatever Brexit deal May agrees with Brussels are taking a softly-softly approach. 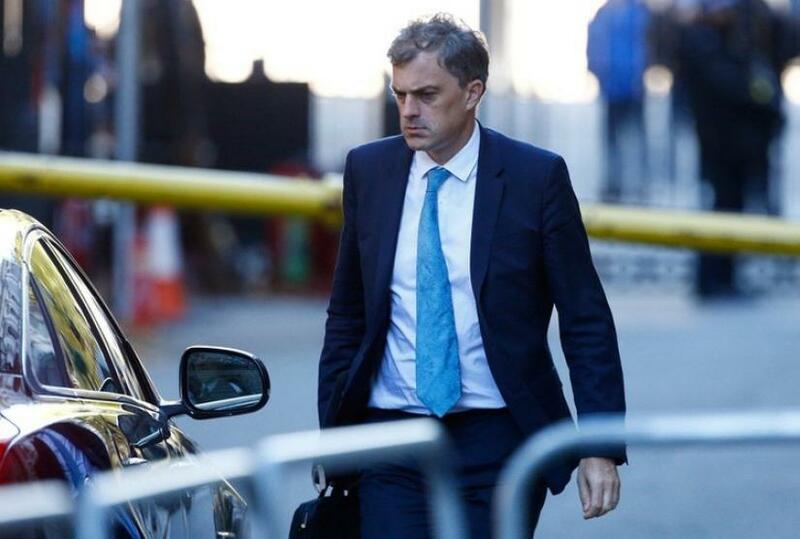 But Chief Whip Julian Smith and his team have a powerful armory at their disposal to force politicians into line. With an agreement likely to go before lawmakers later this year, May’s team and the whips she appointed are quietly sounding out who might vote against it, several politicians told Reuters. Their task is complicated by her ruling Conservative Party’s lack of a parliamentary majority and its bitter divisions over Brexit. To persuade them to support the government, some euroskeptic Conservatives have been wined and dined, including at May’s Downing Street office. Others, including some members of the opposition Labour Party, have been invited to private meetings at which they have been asked their opinions and subjected to painstaking explanations of the prime minister’s position. But few, if any, euroskeptics have been won round. “I am not going to change my mind, no matter how nice a dinner might be,” said one Conservative lawmaker on condition of anonymity, explaining that he had refused three invitations to Downing Street for such a meal. Government and opposition parties each have their own whips — a term with its roots in fox-hunting that dates back to 1742 and refers to the “whipping” of lawmakers to get them to attend votes and support the party line. They also act as tellers for parliamentary votes and manage the pairing system with rival parties that ensures genuine absences do not skew votes in parliament. Smith outraged lawmakers in July when he told some Conservatives to break a pairing arrangement, in what May said was “an honest mistake”. One then voted with the government at a key Brexit vote even though his Liberal Democrat “pair” was away as she had just given birth. Tactics used by whips in the past are the stuff of parliamentary legend. A series of votes on the Maastricht Treaty on deeper EU integration in the early 1990s brought reports of blackmail, threats to expose lawmakers’ indiscretions and even physical “manhandling” to win support. One former Conservative Chief Whip, Gavin Williamson, kept a pet tarantula on his desk — named Cronus after the Greek god who ate his own children. He once said that while he preferred the carrot to the stick, “it is amazing what can be achieved with a sharpened carrot”. Such practices have inspired television shows such as the British and U.S. versions of House of Cards. But for many in parliament now, such behavior bears little resemblance to the reality of everyday political life. The strongest coercion so far over the Brexit vote, lawmakers say, has been the promise of budget sweeteners to curry favor. “They can make your life difficult,” said one lawmaker, recounting how the whips once refused him permission to be absent from parliament for a family celebration because he would have missed a vote. The whips can also threaten to put wavering lawmakers on “boring procedural committees” or block any career promotion, another member of parliament said. Defying a strict “three-line” whip can lead to a lawmaker’s temporary expulsion from their party in parliament. The whips themselves must support the party line or quit. May has promised to give parliament a say over Brexit, Britain’s biggest foreign and trade policy shift in decades. 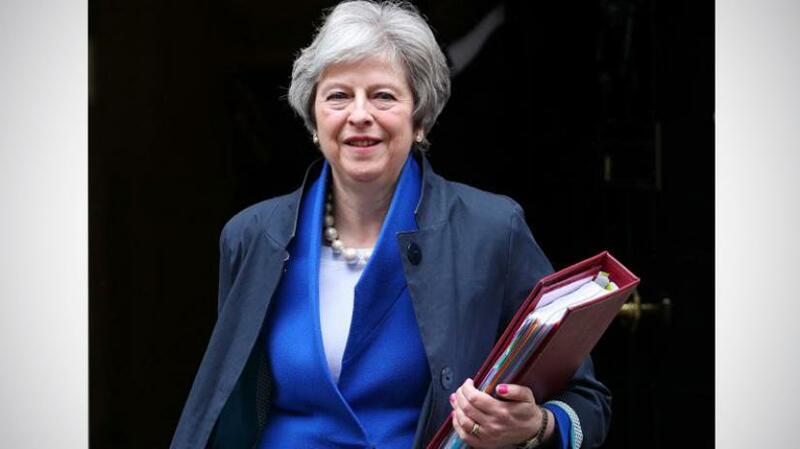 If lawmakers vote down the deal she agrees, Britain could leave the EU without clarity on the terms of its departure, causing uncertainty for businesses and trade and making a challenge to May’s leadership or an early election more likely. May says the agreement with Brussels is 95 percent complete, although how to prevent a return to a hard border between the British province of Northern Ireland and EU member Ireland remains a sticking point in talks and within her cabinet. And while even winning the backing of her top ministers for any deal is a struggle, her main challenge will be securing the support of parliament, where divisions opened by Britain’s 2016 referendum to leave the EU have become deeply entrenched. In the 650-member lower chamber, May has a working majority of 13 only with the support of Northern Ireland’s Democratic Unionist Party. Their “confidence and supply” deal was negotiated by the two parties’ whips after a June 2017 election produced a hung parliament. More than 50 Conservative lawmakers have said they reject May’s so-called Chequers plan, meaning any vote will be tight. The prime minister may have to break with tradition and rely on support from the Labour Party. With “the ink drying” on a deal, as one euroskeptic lawmaker described it, minds are increasingly focused. “I couldn’t support the Chequers proposals, and they have been further diluted through negotiations with the European Union, so I will not be able to vote for the final deal,” said Andrew Bridgen, a Conservative lawmaker and Brexit supporter. He told Reuters the deal that is taking shape would not allow Britain to do full trade deals including goods and failed to hand back power to parliament from “unelected eurocrats”. The whips, whose work is largely behind the scenes and who do not give interviews, will need to crush similar dissent to get the vote passed. For now, they are not indicating how they will do this. But other lawmakers say the heat will only be turned up when a deal is done.